Our custom built mountain home is nestled in the beautiful Rocky Mountains of Colorado. Located on one of the surrounding mountainsides of Bailey, Colorado. Just forty-five minutes south west of Denver on Highway 285. This community has maintained it?s small town charm, but yet still offers a short drive to the big city and all the Colorado Mountains have to offer. Our home offers an open floor plan, vaulted ceilings, and natural wood accents throughout. 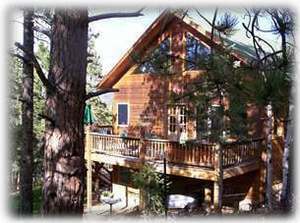 Huge windows allow panoramic views of pine and aspen tree filled surroundings. Occasionally you get a treat of seeing the deer grazing or napping in the yard. LUNA ENCANTADA H-1 Imagine yourself walking in soft white sand on the famous Riviera Maya in Playa del Carmen Mexico. A sunset walk down a pedestrian avenue filled with multicultural restaurants, bars and boutiques. 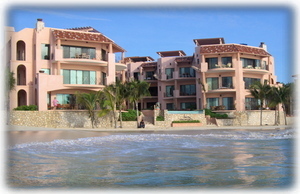 Spending your vacation in our luxurious condo in Playa del Carmen…YOU ARE IN PARADISE!!! 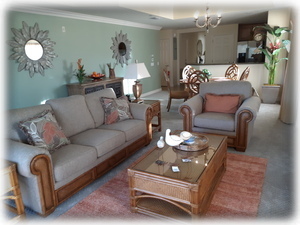 We are located at the Villas @ Reunion Golf Resort community, 30 min drive from airport, close to all attraction's and has plenty of amenities to offer. One of the best 5-Star vacations to the area! Basically our place is like the many 3 bedroom, 3 bath condo's in the community. Most are rented from the Reunion rental pool. Then you have the people, such as ourselves that take the time to promote, rent and manage their own place. We believe you get a more personal touch to your vacation verses the rental pool program. So even though the layout is the same, our place has our, just like home touch. So come stay awhile, we'll leave the light on. You won't be disappointed!